THE TEN COMMANDMENTS, THE GLORY OF THE LORD, PATIENCE AND FAITH. Shalom. Our teaching this morning will be from Exodus 24.12-18. Let’s briefly review this twenty fourth chapter of Exodus up to verse twelve because we will complete the chapter this morning. The time is shortly after The LORD gave the children of Israel the Ten Commandments on Mt. Sinai. And The LORD called Moses to come up to The LORD in Mt. Sinai along with Aaron, his two sons, Nadab, and Abihu and seventy of the elders of Israel. And The LORD said, Moses alone shall come near The LORD, but the others shall not come near GOD. And Moses came and told the children of Israel all the words of The LORD, and all the people answered and said, “All the words which The LORD has said, we will do”. And Moses wrote and recorded all the words of The LORD that over the forty years of their wilderness journey to the promised land, came to be known as The Law of Moses, and also The Book of The Covenant. And Moses rose up early and built an altar at the foot of the mountain with twelve pillars according to the twelve tribes of Israel. And Moses had certain young men of the children of Israel offer sacrifices to The LORD. And he sprinkled the blood on the altar, and took The Book of The Covenant and read it to the people, and they said, “All that The LORD has said we will do and be obedient”. It is important to know that the blood established GOD’s words as Law to be an everlasting Covenant to be obeyed forever. Then Moses went up to The LORD with Aaron, Nadab, and Abihu, and seventy of the elders of Israel, and they saw The GOD of Israel. And under His feet was the likeness of a paved work of a sapphire stone as it were the body of Heaven in its purity. They saw The GOD of Israel, Messiah Yeshua Who was to be sent to the lost sheep of the house of Israel, and to be a light to the gentiles. And they saw GOD and did eat and drink with Him. EXODUS 24.12 So Moses received from The LORD GOD of Israel two tables of stone, and The Law, and the Commandments which GOD wrote that Moses would teach the people. The Ten Commandments were written with the finger of GOD. EXODUS 31.18. The Ten Commandments are also called the Decalogue, and in the original Hebrew, the Ten Words. In Hebrew, the Ten Commandments are AH’SEH’REHT HAD’VAH’REEM meaning, the Ten Words. Words in Hebrew is DEH’VAH’REEM. Thus, every word GOD speaks is a Commandment and law. IN EXODUS 31.18, GOD calls the Ten Commandments, two tables of testimony. The word testimony in Hebrew is AY’DOOT meaning a testimony and witness. A testimony is evidence given by a witness. A witness gives the testimony. Thus the Ten Commandments will judge us as to whether we obeyed them or not. As a witness, the Ten Commandments will testify for us, or against us. Yeshua said to the Pharisees, The Law of Moses accuses you for not believing that I Am The Messiah because The Law of Moses writes about Me. Thus Messiah was saying to the Pharisees, Moses, or The Law of Moses is a witness against you because you don’t believe I AM The Messiah, even The GOD of Israel of Whom Moses in The Law wrote of Me. GENESIS 12.3, GENESIS 49.10, DEUTERONOMY 18.15-18, ETC. DEUTERONOMY 31.24-26 The entire Law of GOD that is written in The Law of Moses in a book was also put in the ark of the covenant for a witness against you, me and everybody. And the witness is a good witness, if we obey GOD’s Law. HEBREWS 9.1-4 In the Tabernacle in the wilderness, the Ark of the Covenant contained the golden pot that had manna, and Aaron’s rod that budded, and the stone tables of The Covenant, The Ten Commandments. Perhaps the writer of Hebrews, and I doubt this, forgot about Deuteronomy 31.26 that says, Take this Book of The Law (which is The Law of Moses) and put it in the side of the ark of the covenant of The LORD your GOD, that it may be there for a witness against you. But for some reason the translator of the book of Hebrews left out that very important Scripture that The Book of The Law, The Law of Moses was put in the ark. I say this because the blessings for obeying GOD’s Laws that are written in The Law of Moses are overwhelmingly good, but not obeying them is disastrous. EXODUS 24.13 Mt. Sinai is also called the mountain of GOD. When Elijah fled from Jezebel, he went to the mountain of GOD called Horeb which is also Mt. Sinai. The Temple Mount in Jerusalem is the elevated walled rectangular area on which stood the first and second Temples. The first Temple built by Solomon was destroyed in 586 B.C.E., B.C. by the Babylonians. And the second Temple built by Zerubbabel was destroyed by the Romans in 70 C.E., A.D. But the Muslims conquered Jerusalem in 637 C.E., A.D., and the Temple Mount has been in Muslim possession since their occupation, with the exception of the Crusader period from 1096 to 1291 C.E., A.D. In 692 A.D., C.E., some fifty-five years after the Muslim conquest of Jerusalem, the Muslims built the Al Aqsa Mosque and the Dome of The Rock on the site where the Holiest of Jewish Temples stood, The House of The GOD of Israel. The Israeli government, in pursuant to its policy of maintaining the status quo of holy places of all faiths has left the Temple Mount under Muslim control, and have prevented Jews from even attempting to pray there. EXODUS 24.12-14 So Moses and his attendant Joshua went up to meet with The GOD of Israel in Mt. Sinai where GOD gave Moses the Ten Commandments which is Law, and fully part of The Law of Moses, written by the finger of GOD, on two tablets of stone, front and back that Moses was to teach the people. And since the Jewish people are the children of Israel, and we are GOD’s witnesses to the world, GOD’s Laws and Commandments written in The Bible are for everybody to observe and obey. How else would the world know Who The One GOD is, and what GOD requires from His Creation? During their wilderness journey from the time they left Egypt, to the moment they entered the land of Canaan, during those forty years, GOD revealed His glory to the children of Israel every day, and every night as devouring fire, and the pillar of cloud in the day to lead them, and the pillar of fire in the night time to give them light. That was the glory of GOD every day, and every night. EXODUS 24.15-18 The glory of The LORD remained upon Mt. Sinai, and the cloud covered Mt. Sinai six days. And the seventh day, GOD called to Moses out of the cloud. And Moses went inside the cloud, and went further up the mountain. And Moses remained on the mountain with GOD forty days, and forty nights. Perhaps we can learn a lesson here in patience and faith. Moses was in the mountain six days, a long time, before GOD called him on the seventh day. And Moses went inside the cloud; and ascended the mountain even further to meet with GOD. Moses needed patience and faith. The LORD called Noah and his family into the ark, and they waited inside the ark with all the animals for seven days until the flood waters came upon the earth. Noah and his family needed patience and faith. Genesis 7.1-10. We need patience and faith knowing that GOD keeps His promises always. And we need patience and faith to take control of our lives, and not let our life spiral out of control from impatience. Messiah says, “In your patience you possess your souls.” LUKE 21.19 That is, In your patience you take control of your life. During times of difficulty, or stress, or hardships, or whatever the situation may be, we need patience and faith to take control of our life. On the contrary, impatience by definition means we become restless, agitated, troubled, and disturbed. We become upset. Me might lose self-control, even self-confidence because impatience can bring on emotional stress and worry. Yeshua says, in your patience you possess your souls. In your patience you take control of your life. The key words in David’s counsel are Righteousness, and Judgment. We need Righteousness and Judgment in our life to receive patience and faith from The LORD. Righteousness comes by faith in GOD our Messiah, and obedience to GOD’s Law of Moses. Again, Righteousness comes by faith in GOD our Messiah, and obedience to GOD’s Law of Moses. Judgment means that every decision you and I make must be according to GOD’s Law of Moses. And GOD will develop and increase your patience and faith if you obey Him. VERSES 7 & 8 Rest in The LORD and wait patiently for Him. And cease from anger and wrath. Anger and wrath are not the righteousness of GOD. Let’s look at what GOD does for the Righteous, those who are law-abiding; obeying His Law of Moses. PSALM 34.15-19 GOD keeps His promises. Remember that. Have faith and believe that. GOD delivers the Righteous out of all their troubles, and from all their afflictions. Many are the afflictions of the Righteous, but The LORD delivers him and her out of them all. Patience and faith are gifts of GOD, but we have to do our part. Our part is to obey GOD, His Law of Moses. And believe that GOD keeps His promises, and be patient. So in conclusion, the word of GOD written in the entire Bible, is to be loved and obeyed. The Bible is the only authority that teaches us Who GOD is and what He requires from His Creation. And when we do what GOD says, the blessings will flow, and your patience and faith will increase. Posted on August 25, 2013 Categories Uncategorized2 Comments on THE TEN COMMANDMENTS, THE GLORY OF THE LORD, PATIENCE AND FAITH. Shalom. Our teaching this morning will be from Exodus 24.9-11. The time that these men went up to see The GOD of Israel in Mt. Sinai and eat and drink with Him took place shortly after The LORD gave the children of Israel the Ten Commandments. And there is a time coming in the future that we also will see The GOD of Israel. The GOD of Israel is Yeshua Ha Mashiakh, Yeshua The Messiah. And we too will eat and drink with Him at the Marriage Supper of The Lamb, and we will continue to eat and drink with Him forever throughout eternity. The Marriage Supper of The Lamb which is The Marriage Supper of The GOD of Israel is prophesied in both The Tnakh, The Old Testament Scriptures, and in The New Testament. And The Marriage Supper and the celebration will take place on earth, in Jerusalem, at the start of the Messianic Era, the one thousand year Millennium immediately after the tribulation, and immediately after The LORD returns, destroying the earth and those on it because the people have transgressed GOD’s Laws, His Law of Moses. They have abolished and changed His Laws, and have broken the everlasting Covenant, His Word and His Law. Therefore, The Bible says, the curse will devour the earth and few will be left. Then The LORD of Hosts will reign in Mt. Zion and in Jerusalem and before His chief people, those invited to The Marriage Supper of The Lamb. The LORD of Hosts is The Lamb, Yeshua The Messiah. Let’s look at Isaiah 25.6-9 which I believe is prophecy of the coming Marriage Supper of The Lamb, The LORD of Hosts, The GOD of Israel, Yeshua The Messiah. ISAIAH 25.6-9 These words, I believe, are about the future celebration at The Marriage Supper of The Lamb. A great rejoicing and celebration will take place in a certain mountain in Jerusalem with The LORD of Hosts, Yeshua The Messiah, and His bride, you and me and all the children of GOD. There will be a Feast, a banquet with the best of foods, and wine. Sorrow will end, and GOD will destroy all the enemies over all people. Death will be no more, but eternal life, happiness, joy and peace will have no end. And the return of The LORD will have come, Yeshua The Messiah, The GOD of Israel. And it will be said in that day, behold, this is our GOD. We have waited for Him, and He will save us. This is The LORD, we have waited for Him. We will be glad and rejoice in His Salvation. We will be glad and rejoice in His Yeshua. I believe these words in Isaiah 25 are a portrait of the future Marriage Supper of The Lamb, a celebration and feast, a banquet of rejoicing and gladness with The King, The GOD of Israel, Yeshua The Messiah, The Lamb of GOD. And when the fullness of our Salvation has come, there will be joy and happiness without end, and celebration, praise and peace forever. It is said by many that GOD’s love is unconditional. That is His love is not subject to any conditions. That is not true. GOD’s love is conditional. His love is dependent upon our obedience to Him and His Law of Moses. GOD says in Deuteronomy 7.9, The LORD GOD keeps covenant and mercy with them that love Him and keep His Commandments forever. His Commandments are The Law of Moses. The LORD GOD says the same in John 14.15. Yeshua The Messiah says, If you love Me, keep My Commandments. Yeshua’s Commandments are The Law of Moses. Thus GOD’s invitation to The Marriage Supper of The Lamb is conditional upon obedience to GOD and His Law of Moses. Righteousness is by faith and obedience to GOD and His Torah. And righteousness is required for our invitation to The Marriage Supper of The Lamb, and explained in Revelation 19.6-9. REVELATION 19.6-9 At The Marriage Supper of The Lamb, our voices, the Righteous of GOD, Isaiah 54.17, will be part of the great multitude shouting Hallelujah, for The LORD GOD omnipotent reigns. Yeshua The Messiah, The GOD of Israel will be King over all the earth. The omnipotent reigns. Let us be glad and rejoice, and give honor to Him, for The Marriage of The Lamb has come, and His wife has made herself ready. LORD, we are ready. GOD has been the Husband of Israel, and the Jewish people since He chose us to be His chosen people some 4,000 years ago. And those non-Jewish people who join in with Israel and the Jewish people in righteousness, as Messiah says in John 4.22, Salvation is from the Jews. Those who have faith in The Jewish Messiah Yeshua, and obey every word, law and command GOD gave to the Jewish people in The Bible will also be part of that great multitude invited to The Marriage Supper of The Lamb. REVELATION 19.8 The fine linen is the Righteousness of saints. I was asked, what does righteousness mean? And I answered, righteousness means being law-abiding. Living our life according to GOD’s Laws that are written in The Law of Moses. And that is what GOD requires of us, righteousness, to be invited to The Marriage Supper of The Lamb. An obedient person who obeys GOD’s Law of Moses. And the angel said to John, write, blessed are they who are called to The Marriage Supper of The Lamb. That is a huge blessing because it is eternal life in Heaven. And John explains what is required to obtain eternal life in Heaven. JOHN 3.16 The word believe in Greek, as in “whosoever believes in Him” is PIST-YOO-O meaning faith and obedience. Thus, whosoever believes in Messiah, and obeys Him (He is The GOD of Israel) should not perish, but have everlasting life. Yeshua tells a story about ten virgins who went out to meet The Bridegroom. But they needed oil in their lamps to attend The Marriage. VERSE 1 The Kingdom of Heaven in this story is GOD and Heaven. The Bridegroom is Yeshua The Messiah, The GOD of Israel. VERSES 2-4 Oil is symbolic of being Holy, Dedicated to GOD, and Appointed by GOD to do His will. And oil is also symbolic of having The Holy Spirit which is given by GOD to those who obey Him. LEVITICUS 8.12-15 Aaron was anointed with oil to be Holy, to do GOD’s will in performing the sin offering. 1 SAMUEL 16.10-13 David was anointed with oil to do GOD’s will. To reign and be King of Israel at GOD’s appointed time. And David was anointed with oil to receive The Holy Spirit. ACTS 5.32 GOD gives The Holy Spirit to them that obey Him, to those who obey GOD’s Laws written in The Law of Moses. Thus having oil in their lamps was symbolic of the virgins being Holy, Appointed by GOD, and Dedicated to GOD to do His will, and having The Holy Spirit which GOD gave them because of their obedience to GOD and to His Law of Moses. MATTHEW 25.5-13 This is what Yeshua is telling us in this story. To be invited to The Marriage Supper of The Lamb, we need to be living a Holy life, a life of Obedience to GOD. We need to have Faith in Messiah Yeshua and Obey GOD’s Law of Moses, or else the door will be shut on us, and Yeshua will say, I don’t know you. Psalm 45 is about a marriage to a King Who no doubt is The Messiah Yeshua. PSALM 45.1-2 You King Messiah are more beautiful than anyone. Grace is poured into Your lips. Therefore GOD has blessed You forever. VERSES 3-5 Our King, Messiah Yeshua is mighty and powerful, and He will destroy His enemies. Our King is The GOD of Israel, and The Father of Israel, and The Husband of Israel and the Jewish people. And he will destroy Israel’s enemies forever. VERSE 6 The King is GOD. He is also Messiah Yeshua. And His throne is forever and ever. The scepter of His Kingdom by which He rules is a right scepter with justice, truth and without iniquity. VERSE 7 You love righteousness and hate wickedness. Remember the meaning of righteousness? Righteousness means living our life according to GOD’s Laws that are written in The Law of Moses. GOD loves righteousness, and hates wickedness. Wickedness is sin, and sin is breaking The Law of Moses. Therefore, GOD, your GOD has anointed you with the oil of gladness above everyone else. GOD, your GOD is The One GOD of Creation. GOD is The Messiah Yeshua Who was sent by The LORD GOD. VERSES 8-16 In The Marriage Supper of The Lamb, all those invited, daughters, and queens, and princes are the bride and wife of King Messiah. The Bride will be arrayed in fine linen, clean and white, for the fine linen is the righteousness of saints. Saints in Hebrew is KAH’DO’SHIM, meaning Holy Ones. VERSE 17 Messiah’s Name Yeshua will be remembered forever, and we will praise Him forever and ever. What will our King Messiah look like? Song of Solomon might give us a picture of His beauty. In Hosea Chapter 2, GOD promises to betroth Israel to Himself forever. HOSEA 2.19-20 (21-22) Betroth in Hebrew is AH’RAHSE meaning to engage for marriage, or promise to marry. It is quite possible from these Scriptures that because the sins of the majority of the Jewish people have not been atoned for and forgiven, and the majority of the Jewish people rejecting their Messiah Yeshua Who is The LORD their GOD, The GOD of Israel, that GOD will restore His marriage relationship with Israel and the Jewish people when the Jewish people receive their Messiah Yeshua when He returns. Zechariah 12.10. And according to Hosea 2.19-20 (21-22) GOD will be Israel’s Husband forever in righteousness, and in judgment, and in lovingkindness, and in mercies, and in faithfulness. In righteousness because GOD’s attributes are righteous, upright, and honest. In judgment because GOD judges and rules by His Law, The Law of Moses. And in loving kindness because GOD is a GOD of love. And in mercies because of His love for us, and His sympathy and compassion for us. And in faithfulness because GOD is faithful. We can rely on the LORD our GOD and trust in Him always. And we will know The LORD, and He will be our Husband forever. meaning, those who walk a course of life, or those whom GOD directs. VERSES 9-10 That is the theme of The Marriage Supper of The Lamb. Earlier, perhaps days or weeks, or even months earlier, The LORD GOD gave the children of Israel the Ten Commandments to observe and do them. The children of Israel are the Jewish people. The LORD had descended from Heaven upon Mt. Sinai in fire. And the smoke of the fire rose as the smoke of a furnace, and the whole mountain quaked greatly. And the shofar blasted long and loud, and Moses spoke, and GOD answered him. And The LORD came down upon Mt. Sinai on the top of the mountain. And The LORD called Moses up to the top of the mountain and commanded him to tell the people not to come up to gaze upon The LORD lest many of them perish. And The LORD said to Moses, go down and come back up with Aaron. And Moses went down to the people and spoke to them. And GOD gave Israel more laws along with the Ten Commandments that are written in the Law of Moses. And GOD called Moses and Aaron and his two sons Nadab and Abihu, and seventy of the elders of Israel to come up to The LORD in Mt. Sinai. And Moses told the people all the words of The LORD which Moses wrote and recorded. Those words of The LORD GOD that Moses wrote are called The Book of The Covenant. The Book of The Covenant is every word GOD spoke to Moses. The Book of The Covenant is also known as The Torah, GOD’s Law which was given by Moses the servant of GOD. The Book of The Covenant, or The Torah is written in Genesis, Exodus, Leviticus, Numbers, and Deuteronomy. And all the people said, we will do and be obedient. EXODUS 24.9-11 So Moses and Aaron, Nadab and Abihu and seventy of the elders of Israel went up to see The LORD in Mt. Sinai. They saw The GOD of Israel, GOD Almighty, the future Messiah of Israel, Yeshua The Messiah. And there was under His feet a paved work of a sapphire stone like the clearness of the body of Heaven, transparent white and dark blue. Yet GOD did not raise His Hand against the nobles of Israel despite their seeing GOD. But rather they ate and drank with Him. I remember when I first started reading The Bible, that is the Jewish Publication Society Bible, The TNakh, or The Holy Scriptures, The Old Testament Bible back in 1981 to find out why GOD chose the Jewish people to be His Chosen People. And when I first read the Scripture that GOD appeared to Abraham, I was shocked. I never knew that GOD could be seen because He is Spirit and invisible. So to be sure that what I was reading that GOD did in fact appear to Abram, I looked up the word appeared in the dictionary. And yes, of course, appeared means to come into sight, to become visible. And I realized that GOD can be seen. It is Biblical teaching. The One GOD of Creation can be seen. Later on, I thought, how? How can GOD be on earth and in Heaven at the same time and still fill Heaven and earth spiritually? Jeremiah 23.24. So this morning’s teaching, since Moses and Aaron, and Nadab and Abihu, and seventy of the elders of Israel saw The GOD of Israel, and ate with Him, we will witness from The Scriptures some of GOD’s other appearances, why He visited them, and what He said. GENESIS 12.7 When Abram was 75 years old, The LORD appeared to him. GOD promised Abram that He would give the land of Canaan to his descendants the Jewish people. And GOD always keeps His promises. The land of Canaan became the land of Israel. The Land of Israel belongs to the Jewish people forever. It is a gift of GOD. The Land is given to the Jewish people by GOD’s grace. And being chosen is GOD’s grace. The Jewish people have been living in Israel for some 3,300 years since the Exodus out of Egypt. And GOD’s promise to Abram was made some 800 years before the children of Israel entered Canaan. GOD always keeps His promises. GOD visited Abraham again when he was 99 years old to give him an Everlasting Covenant. The LORD told Abram to walk before Him and be perfect. That is obey every word GOD speaks. His Commandments, His Statutes, and His Laws. Genesis 26.5. And GOD made an Everlasting Covenant with Abram. GOD promised to make Abram’s descendants, the Jewish people numerous. Yet Abram and Sarai had no children at the time. And Abram shall be the father of many nations. And GOD changed Abram’s name to Abraham, for a father of many nations have I made you, GOD said. And Abraham will be fruitful, and GOD will make nations from him, and kings will come from him. The Covenant is Everlasting. No one can change it, and no one can break it. GOD will be GOD to Abraham and his descendants after him, the Jewish people. And GOD will give the Land of Israel to Abraham, and his descendants, the Jewish people after him for an everlasting possession. And GOD will be their GOD. And GOD gave Abraham and the Jewish people the Covenant of Circumcision for Jewish males to be performed at eight days old. Circumcision is a sign of The Covenant between GOD and Abraham. And GOD changed the name of Sarai Abraham’s wife to Sarah. And GOD will bless her, and give Abraham a son also of her. And she will be a mother of nations. Kings of people will be of her. And their son’s name will be Isaac because Abraham laughed when GOD said they would have a child in their old age. Isaac in Hebrew is YEETS’KHAHK meaning laughter. And Ishmael, the son of Hagar, Sarah’s maidservant, GOD said, I have blessed him, and will make him fruitful, and multiply him exceedingly. Twelve nations shall be born from him, and I will make him a great nation. But My Covenant, GOD said, will I establish with Isaac which Sarah shall bear to Abraham. At the set time at the next year. And GOD went up from Abraham. And GOD has kept and fulfilled every promise He made to Abraham some 4,000 years ago. When GOD told Abraham his wife Sarah would have a son, Sarah laughed within herself when she heard GOD say she would have a son in her old age. And The LORD said to Abraham, why did Sarah laugh saying shall I really give birth to a child old as I am? “Is anything too hard for The LORD?”, GOD said. I will return to you at the same season next year, and Sarah shall have a son. Then Sarah denied laughing, saying I did not laugh, for she was afraid. But GOD said, you did laugh. And GOD of course, fulfilled that promise as well. Isaac was born the following year. that Adam and Eve disobeyed GOD. They were tricked by satan to disobey GOD. And satan today continues to trick most all people in believing that they don’t have to obey GOD. GOD created Adam and Eve to live forever. Genesis 3.22-24. But as GOD promised, they died because of their disobedience to Him. Genesis 5.5 Today, obeying GOD is obeying His Law of Moses. But satan continues to trick people as he deceived Adam and Eve into disobeying GOD. Disobeying GOD is sin, 1 John 3.4. The penalty for sin is a whole lot of troubles in your life, along with death and enmity against GOD. But obeying GOD and His Law of Moses with faith in Messiah Yeshua results in a good life, and everlasting life. And that also is a promise of GOD. Romans 2.13, Romans 6.23, Romans 8.6-7. Let’s try to explain the Glory of The LORD. Glory in Hebrew is KAH’VODE which in Leviticus 9 is the visible, spiritual manifestation or appearance of GOD in His perfection. His beauty and glory are like devouring fire, the brightness of a rainbow, even hundreds and thousands of rainbows. His Presence and natural spiritual being is His splendor and majesty. His Glory is as the brightness of the sun that shines in its strength. His Glory can be as a cloud filled with power and great beauty. And His Glory is so much more. Exodus 24.17-18, exodus 40.34-38, Ezekiel 1.28, Revelation 1.6, Revelation 21.23, Matthew 17.1-2, Mark 13.26, 1 Kings 8.10-11. GOD of course appeared to others with strong and important messages. GOD appeared to Samuel, David, Solomon, Isaiah, Jeremiah, Gideon and others. But with the time remaining, I would like to address the subject of how can GOD be on earth and in Heaven at the same time? The word sit in Hebrew as in He or GOD sits in the Heavens is YAH’SHAV meaning GOD DWELLS in Heaven, He STAYS in Heaven, and He CONTINUES to DWELL in Heaven forever without any interruption. So how can THE ONE GOD be in Heaven and on earth at the same time? GOD is omnipresent meaning spiritually GOD is present everywhere at the same time. He fills Heaven and earth. Jeremiah 23.24. Bodily, GOD can appear everywhere or anywhere at the same time even as He does Spiritually. He is GOD. GOD can appear bodily as He appeared to Abraham, Moses, and the others at the same time in Las Vegas, New York, Jerusalem, Tel Aviv, or anywhere he pleases at the same time, and still remain in Heaven because He is GOD. Who sent Messiah Yeshua Who Himself is GOD Almighty? GOD has another Name, and another Title. His Name is Yeshua, meaning Salvation and Deliverance. And His Title is Messiah. He is The Promised Jewish Messiah anointed to do the will of GOD. And when we obey The LORD our GOD Who wrote the entire Bible through the hand of men and women and GOD is Messiah Yeshua, we will have peace as a river, and our righteousness will be as the waves of the sea. ISAIAH 48.18 Peace in Hebrew as you know is shalom. Shalom means good health, perfect peace, happiness, and safety, and prosperity, especially in GOD, and all will be well when you as a Believer in Messiah Yeshua will diligently obey GOD’s Law of Moses. Think on those words. All of our Services for The Festivals of The LORD, Leviticus 23.23-44, will be held at 10:30 A.M. Please call 702-642-2245 for directions. Shalom. Our teaching this morning will be from Exodus 24.3-8, but let’s start with Exodus 24.1. The time of these events is approximately three months after the Exodus out of Egypt. The LORD had called Moses to come up to Him in Mt. Sinai along with his brother Aaron and Aaron’s two sons Nadab and Abihu, and seventy of the elders of Israel. And they are to worship far off, The LORD said. And Moses alone was to come near The LORD, but the others were not allowed to come near The LORD their GOD. Nor were the people of Israel permitted to come up the mountain with Moses. Words, as in All the words of The LORD is DEEV’RAY, meaning every word GOD spoke which are His decrees, or His Laws, His Commandments, His teachings, and His instructions. Those are the Words of The LORD. GOD’s Judgments in Hebrew is MEESH’PAH’TEEM meaning, His verdicts, His decisions, and His rulings. All GOD’s judgments, decisions, and rulings, whether favorable or not favorable are according to His Laws written in The Law of Moses. Our decisions or our judgments must also be according to GOD’s Laws written in The Law of Moses. So Moses came and told the people all the words of The LORD, and all the judgments, and all the people answered with one voice and said, all the words which The LORD has said we will do. GOD had just given the people the Ten Commandments. The LORD GOD of all Creation was on Mt. Sinai. And there were thunders and lightnings, and a thick cloud upon the mount, and the voice of the shofar was exceeding loud, so that all the people that were in the camp trembled. And Moses brought forth the people to meet with GOD, and they stood at the lowest part of the mountain. And Mt. Sinai was altogether consumed in smoke because The LORD descended upon it in fire. And the smoke rose as the smoke of a furnace, and the whole mountain quaked greatly. And when the voice of the shofar sounded long, and loud, and louder, Moses spoke, and GOD answered him by Voice. Now, Moses was teaching the people GOD’s words, and commandments, and laws that GOD commanded them to do. EXODUS 24.4 And Moses wrote, recording all the words of The LORD, which when Moses completed his writing became The Torah, the first five books of The Bible. The word Torah means GOD’s Laws, Commandments, His ordinances, His teachings, instructions, and guidance. The word Torah applies both to the entire Bible including The New Testament which is made into GOD’s Law, and belongs to The Law of Moses. Hebrews 8.6. And The Torah of course is also The Law of Moses written in Genesis, Exodus, Leviticus, Numbers and Deuteronomy. GOD instructs everyone to remember The Law of Moses, and by remembering The Law, we are to do it. MALACHI 4.4 (Malachi 3.22). Moses wrote The Torah, all the words that The LORD GOD spoke to him over the course of his forty year leadership of the children of Israel from Egypt to the time they entered Canaan. There Joshua led the people into the land after Moses died. And the following morning after GOD called Moses, Aaron, his two sons, and seventy of the elders of Israel to come up to Him in Mt. Sinai, Moses rose up early in the morning and built an altar at the foot of the mountain with twelve pillars for the twelve tribes of Israel. The twelve pillars of the altar not only represented the twelve tribes of Israel, they also may have been symbolic for the twelve tribes of Israel, all the Jewish people at the time, accepting GOD’s Covenant, every word and law GOD spoke to Moses. EXODUS 24.6 So Moses took half of the blood from the sacrifices and put it in basins, perhaps large bowls, and half of the blood he sprinkled on the altar. The Book of The Covenant in its fullness is the writing of all the words, commandments, and laws spoken by GOD to Moses, including GOD’s teachings and instructions from Genesis through Deuteronomy, The Foundation Of The Bible. And we as obedient children of GOD should also say, ALL THAT THE LORD HAS SAID, WE WILL DO AND BE OBEDIENT. EXODUS 24.8 It’s important to understand what the word Covenant means. Covenant in Hebrew is BEH’REET meaning GOD’s Covenant with the Jewish people is A CONTRACT He has with them, and A COMMITMENT and PROMISE GOD has made with the Jewish people. GOD has committed to give the Jewish people His word and laws, and the Jewish people have promised GOD to do them, and be obedient. That is why Yeshua says in John 4.22, Salvation is from the Jews. Because Salvation comes from the Jewish Messiah Yeshua, and ALL PEOPLE who receive Messiah must be obedient to GOD’s Covenant, His Word and Laws that GOD gave to the Jewish people. VERSE 19 For when Moses had spoken every Precept, or every Law to all the people according to The Law, that is GOD’s Law written in The Law of Moses, Moses took the blood of calves and goats with water and scarlet wool, and hyssop, and sprinkled both the Book of The Covenant and all the people with the blood. The Book of The Covenant is all the words and laws of GOD spoken by The LORD to Moses. VERSE 20 Saying, this is the blood of the testament, actually the blood of the covenant which GOD has commanded you to obey. saying, behold the blood of the Covenant which The LORD has made with you concerning all these words, Exodus 24.8, means, GOD has established every word He spoke to Moses from Genesis through Deuteronomy as Law. GOD’s Law. Law is defined as the body of rules and laws that must be obeyed. The Law that GOD commands all mankind to obey is His Covenant, The Law of Moses. Yeshua The Messiah established The New Covenant, or New Testament as Law and fully part of The Torah, The Law of Moses with His shed blood from His sacrificial death. MATTHEW 26.26-28, JEREMIAH 31.31-34, HEBREWS 8.6. The blood established GOD’s word and laws forever. Nothing of GOD’s word will ever change, and nothing in His Law will ever end, because GOD’s Word stands forever. And like GOD, His Law will never change nor will it ever end. With the time we have left, let’s look at some prophecies in The Torah, The Law of Moses that concerns The Messiah Yeshua. Genesis 1.1 may not be a prophecy, but fact. GENESIS 1.1 The Name of GOD in this Verse is Elohim, a plural word for the One GOD of Abraham, Isaac, and Jacob. GOD calls Himself Elohim some 2,500 times in T’Nakh, The Old Testament and numerous times in The New Testament if we could refer to the original Hebrew. The singular Hebrew word for GOD is ALE, and is used some 205 times in T’Nakh. I don’t know how often the singular word for GOD is used in The New Testament. But we know emphatically that there is only one GOD because that is GOD’s teaching in The Bible. Deuteronomy 6.4, Mark 12.29, etc. But yet GOD tells us in the opening verse of The Bible He is Elohim, GOD plural. Why? Not only is GOD omnipresent, He is present everywhere at the same time, the One GOD also reveals Himself in many different manifestations and appearances. The One GOD Elohim appeared to Adam and Eve, Abraham, Isaac, Jacob and Moses and others bodily in the form of a human being. Genesis 17.1, Exodus 33.11, etc. Genesis 1.26-27. GOD appeared as Melchizedek Genesis 14.18-20, Hebrews 7.1-3, and the Angel of GOD, the pillar of cloud, and the pillar of fire. The wind and the breeze are GOD, the Spirit of GOD. And GOD appeared to the lost sheep of the House of Israel Whose Name and Title is Yeshua The Messiah, The Mighty GOD, The Everlasting Father, The Prince of Peace Isaiah 9.6(5) and at the same time He was also a man, a human being. GENESIS 28.10-14 Through Abraham, Isaac, and Jacob and the Jewish People, GOD has blessed all the families of the earth. How? Through the Jewish Messiah Yeshua Whom GOD has given to the world, Who forgives all our sins and remembers them no more. Jeremiah 31.31-34. And through the Jewish Messiah Yeshua, we have everlasting life to those who also receive The Book of The Covenant, GOD’s words, and laws spoken by GOD and do them. 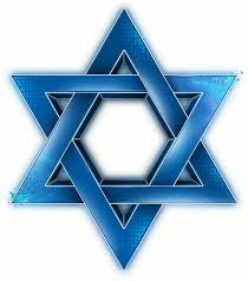 And all the families of the earth are blessed through the Jewish People.. So in conclusion. The Book of The Covenant is The Torah, The Law of Moses. And the blood that Moses sprinkled on the Book and the people established GOD’s Word as Law to be obeyed by all peoples, Jewish and non-Jewish forever. And The Torah-observant Jew, and anyone who is Torah-observant must believe in Yeshua Who is your GOD and Messiah, because Yeshua is prophesied in The Torah. Yeshua is Elohim. Those who claim to be Torah observant, and do not believe in their Messiah Yeshua are not Torah-observant. Posted on August 4, 2013 Categories Uncategorized7 Comments on THE BOOK OF THE COVENANT.